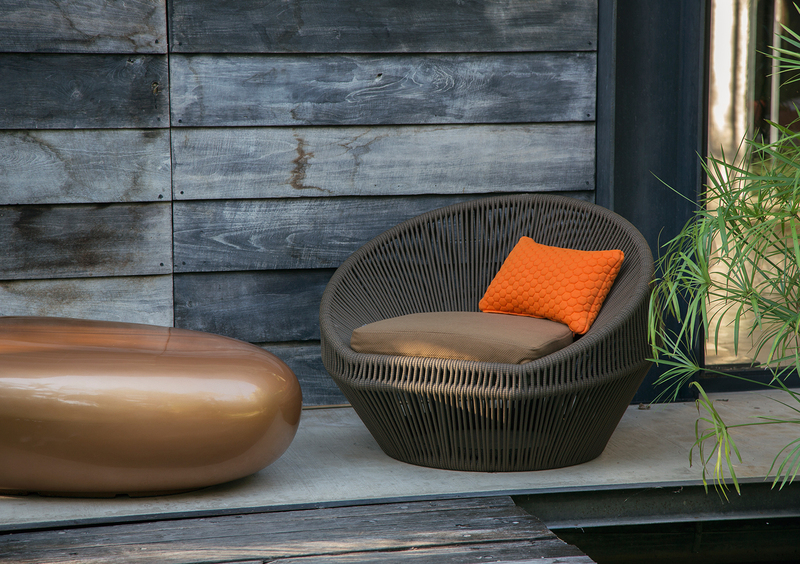 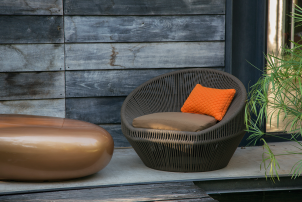 Kokoo lounge chair is a new interpretation of our popular outdoor circle chair series. 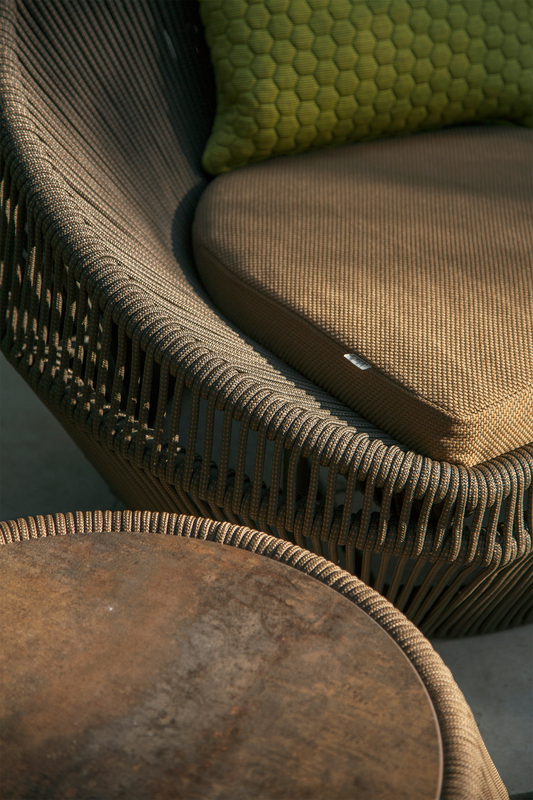 A more streamlined and angular form, highlights the new series – woven in our exclusive outdoor round Ropetek®. 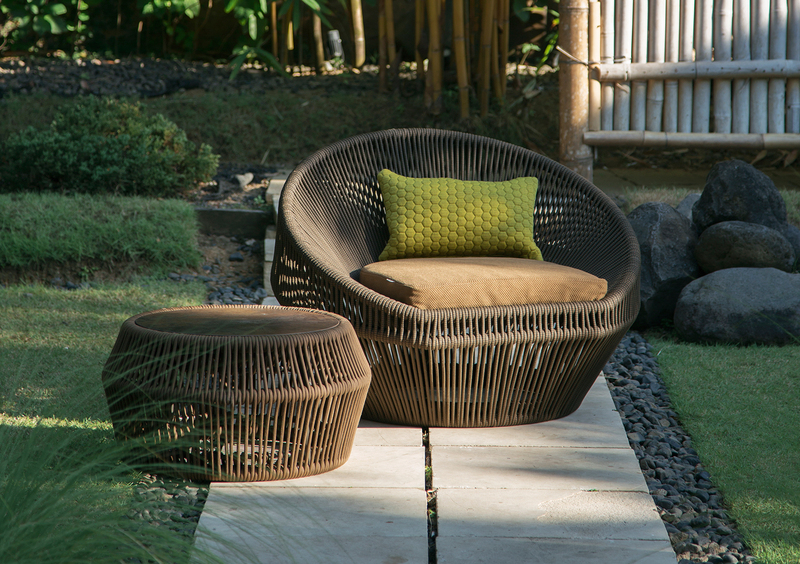 Complements are an outdoor side table and a large round coffee table available with our natural stone or CL lamination top inserts. Functional circular outdoor lounge seating for contract and residential furnishings. 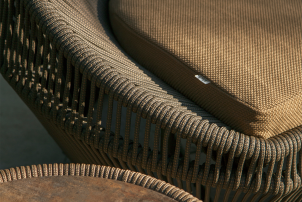 Kokoo woven in our exclusive round Ropetek© Made in Italy. 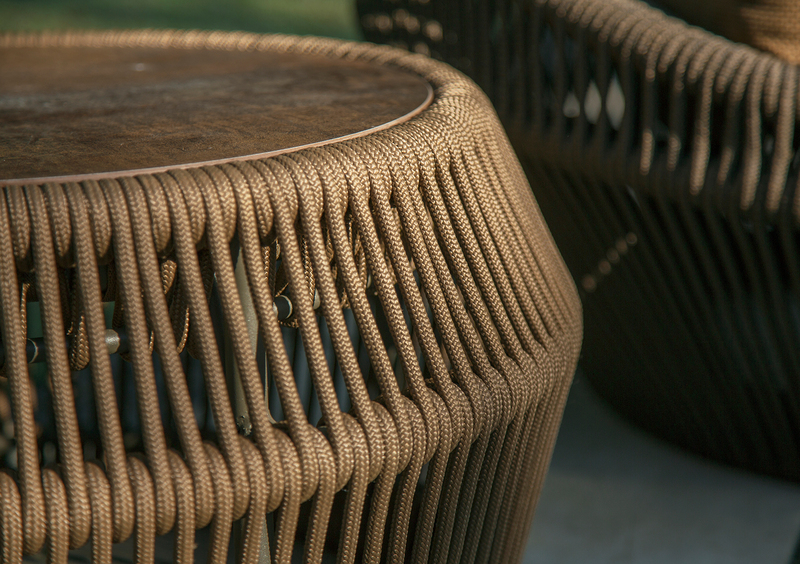 About the Kokoo Chair & Table.